Dolphin B43 shown alongside a rendered outline of its dorsal fin. We saw this individual five times. An unexpected but delightful result of our survey work in Golfo Dulce was the identification of about 80 individual Bottlenose dolphins (Turciops truncatus), some of which can be seen in the Appendix of my 2010 report. How does one go about identifying dolphins? Well, pioneering biologists studying various species discovered ingenious ways to distinguish individuals. Jaguars have unique spots. Gorillas have unique nose prints. Dolphins have unique dorsal fins. By examining the shape, natural markings, scars and trailing edge, a dorsal may appear as distinct as a fingerprint. Of course dolphins don’t sit quietly at the surface while you study the intricacies of their dorsal patterns, so ID work is best done through photos. Luckily, we managed to get photographs for almost 90 percent of our dolphin sightings. I’d dreamed of visiting Costa Rica since I was 12, and recently for two glorious weeks I got to sample the “pure life” – visiting the southernmost quarter of this West Virginia-sized nation – from San Jose down nearly to Panama. My introduction to the Pacific rain forest lowlands began with Roy Orozco, a soft-spoken, gracious naturalist out of Quepos. First light for birding in the tropics is 5:30 a.m., so Roy picked me up at 4 a.m. at the Costa Verde II parking lot near Quepos to drive an hour and a half up the coast to Carara National Park, west of San Jose. 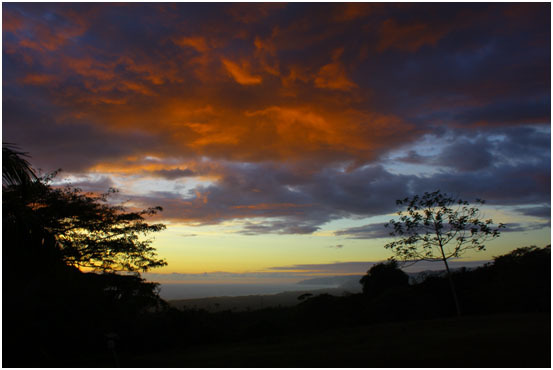 Carara, one of Costa Rica’s marquee ecotourism destinations, is a unique mix of “life zones,” where the drier habitat of the north meets the wet lowlands of the south. A variety of whale species may be found in the eastern Pacific Ocean off the coast of Costa Rica, including Byrde’s whale (Balaenoptera edeni), Fin whale (Balaenoptera physalus), Sperm whale (Physeter macrocephalus) and Killer whale (Orcinus orca). But the most commonly seen whale inside the Golfo Dulce is the Humpback whale (Megaptera novaeangliae), a species that annually migrates from colder feeding grounds near the magnetic poles to warmer equatorial breeding and birthing grounds. In fact, the area around the Osa Peninsula is a really special place for Humpbacks — it is the only known place in the world where the migration paths of whales from both the northern and southern hemispheres cross over. Because the Arctic and Antarctic seasons are opposing, Humpbacks from the North Pacific Ocean spend time inside the Golfo Dulce during January and February while Humpbacks from the Southern Ocean normally arrive during July and August. That means whales are coming and going from the gulf throughout much of the year. 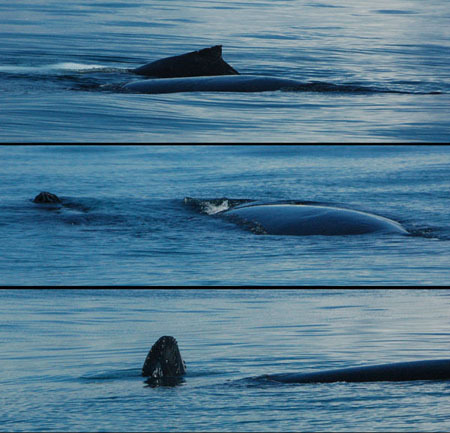 We logged 25 Humpbacks during our surveys, mostly mothers with young calves. The whales were often seen traveling up into the embayment, possibly seeking sanctuary from the open sea. We even witnessed a baby Humpback nursing — an experience Jorge and I will never forget! That sighting plus birthing events reported to us during both seasons suggest that embayment may even be a haven for Humpback nativity. Isn’t that remarkable? Indeed, the more we learn about the role the Golfo Dulce plays in the whales’ ecology, the more important it appears. It is incredible to think how far Humpback whales travel to visit the Golfo Dulce and we can only hope the calm gulf waters will always offer those gentle titans safe retreat at the end of their long journey. Brooke Bessesen conducted Marine research at the Osa in 2010 and 2011 as a recipient of the Greg Gund Memorial Fellowship. Check out her Golfo Dulce report on our website. The 2011 Christmas Bird Count Summary Is Up! The 2011 Osa Peninsula Audubon Christmas Bird Count summary is finally in. This Christmas, participants included Osa Conservation, Bosque del Rio Tigre, Bosque del Cabo, El Remanso, Iguana Lodge, Luna Lodge, Lapa Ríos, SurcosTours and Blue Ave. 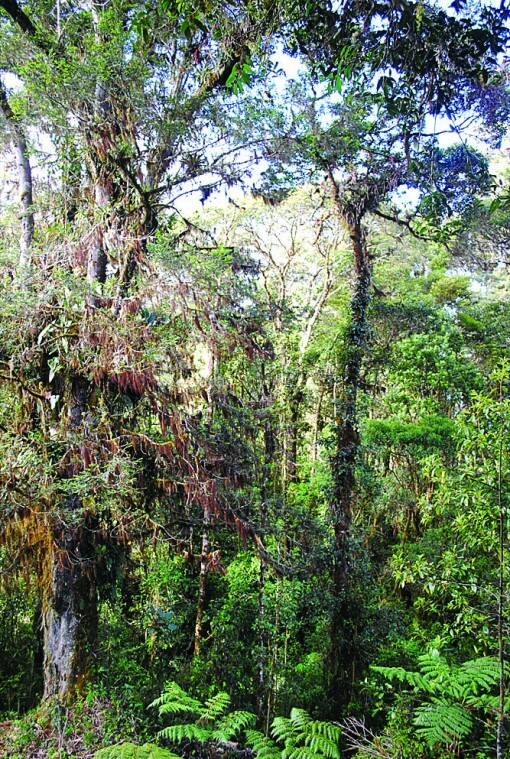 Participants spent 78.5 hours monitoring birds in the Osa Peninsula, spotting a total of 4,506 birds. Click here for the full report!